The works to this Grade II listed maisonette were far more complex than they first appear. 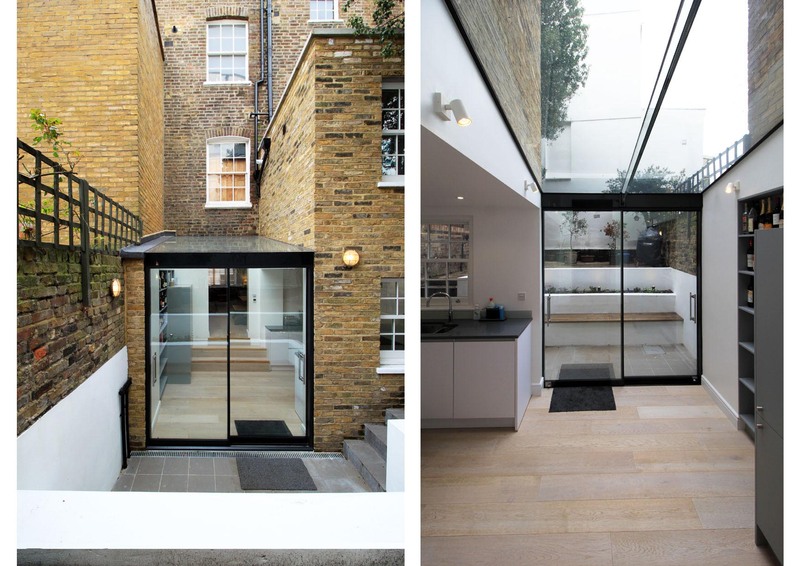 Our clients needed additional living space for their young family and were looking to extend into their rear garden. 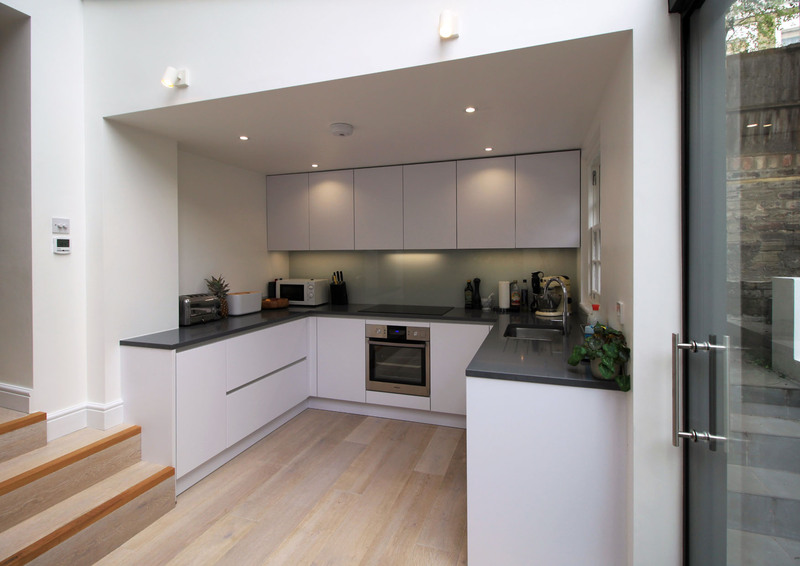 We managed to find additional area by digging down below the existing bathroom, creating a semi-basement for a spacious new kitchen. 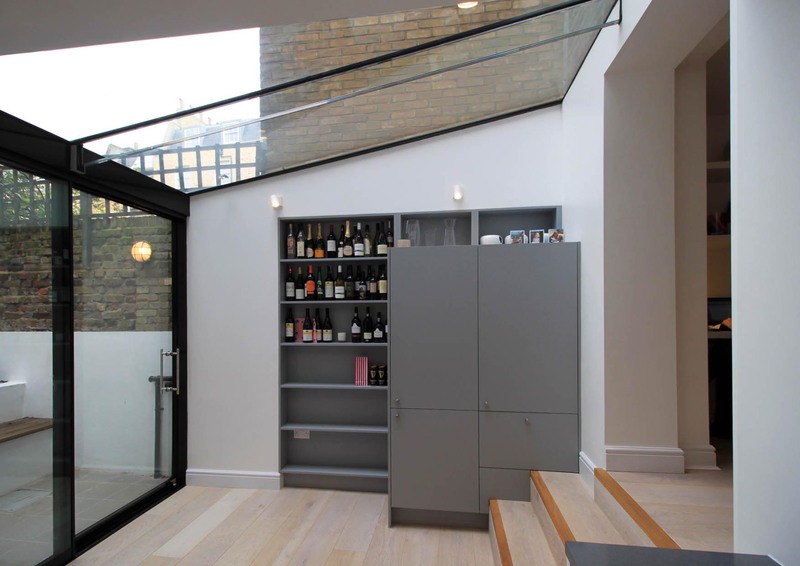 A glass infill extension maximised daylight whilst complementing the solid masonry of the original building.